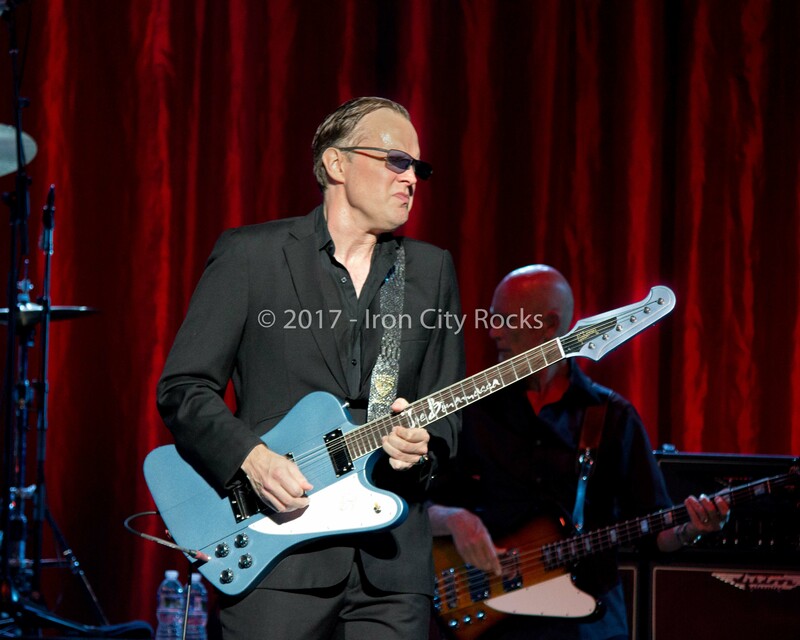 Joe Bonamassa fought though a cold and medication to put on a blistering set on his second night in the Steel City on Friday night. Backed by 7 musicians and singers, Joe took the stage promptly and play for well over two hours. The set list included a nice dose of the latest album, Grammy nominated Blues of Desperation. There were sprinkled in some tasty covers including Led Zeppelin’s “Boogie with Stu” and a fantastic rendition of “Pretending” by Joe’s idol, Eric Clapton. Throughout the set, you had to remind yourself to pick up your jaw as Joe ripped through solo after solo that exhibited not only his speed but more importantly his understanding of what fit the song. These weren’t solos for the sake of stroking his ego. For fans of vintage guitars and amps, this was like a dream Christmas morning. Joe shared the story of how he used to play four sets a night at Moondogs in he early years. Pittsburgh will certainly welcome Joe back and any time and this reviewer is shore he could sell out four sets a night.